The wait for the album is over. Finally, Wiz Khalifa has dropped his new album Rolling Paper 2 after seven years from the delivery of his Rolling Paper which was on 2011. The album consists of 25 rocking songs. The 25-song is in collaboration and featuring with the Swae Lee, Snoop Dog, PARTYNEXTDOOR, Hardo, Gucci Mane, Ty Dolla $ign, Li Skies, Bone Thugs-N-Harmony and Late Jimmy Wopo who was killed last month in Pittsburgh. Likewise, production is handled by E-Dan, Sledgren, TM88 and Young Chop. “This is as important as my first album, That’s the mark I want to make and that’s how I’m coming into it. I had this great career to stand on and all this work I have done, but let’s strip all of that away and focus on what I’m about to do right now. This is my time to prove what I’m made of now. 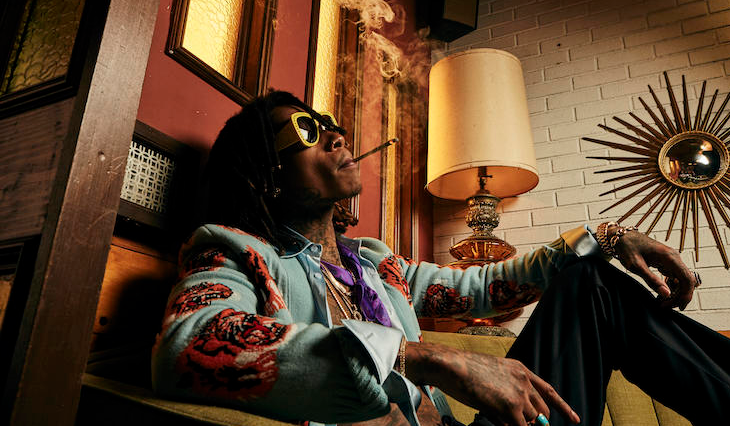 We done that, that’s done now.” Wiz said to Billboard. One of the main highlights of this album is “Blue Huninds” as it features Hardo and the late Jimmy Wopo. Meanwhile we are happy and excited to say that finally the awaited wait for the Wiz Khalifa’ s Rolling Paper 2 is over.